Clearance Wristbands! Our Overstock = Your Savings! 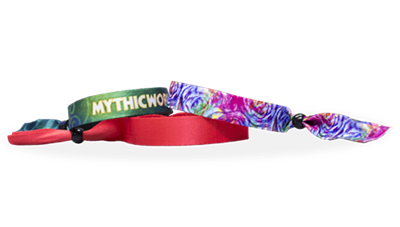 We carry a number wristbands that can be used as Concert Wristbands for either security or as a souvenir. 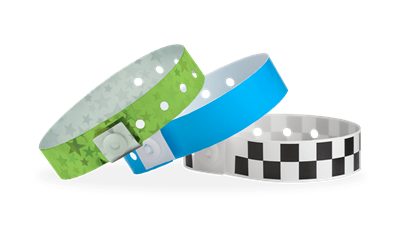 From a security stand point our wristbands enable you to easily identify paid customers, of age customers and/or VIP customers. We carry Tyvek®, Plastic, Vinyl and Cloth wristbands for security purposes. If you are looking for souvenir type of wristband we offer both Silicone wristbands and Cloth bands (for security and/or a souvenir). 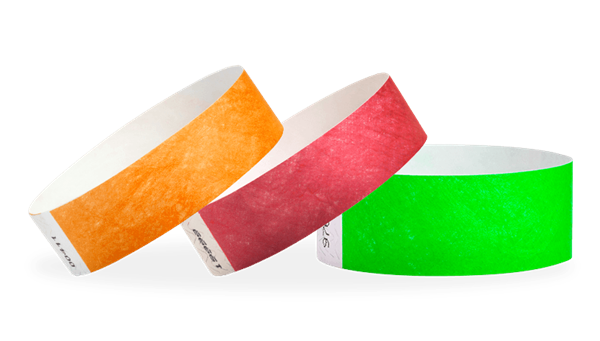 Tyvek® wristbands are the most affordable option and still offer the same security as any of our bands and last 1 - 2 days. Our Plastic and Vinyl wristbands are security bands and last 3 - 7 days and 7 - 14 days respectively. All three options can be customized so they fit your event and the more unique you make it, the more it will prevent fraudulent entry. A nice bonus is having your logo on customers wrists when they leave your event and go out into the world. Cloth wristbands can be completely customized so you can fully brand them to your event. You can also get either a security closure or re-usable closure. Please call 1.888.256.0816 for more information on how to customize. Silicone wristbands offer you a product that you can customize and sell as a souvenir for your event. They are not security wristbands. Sell these at booths or give them out to help spread the message!